Is your car doomed to become a duct tape-covered clunker, rolling in the salt and slush during the winter? Not if you rust proof it. 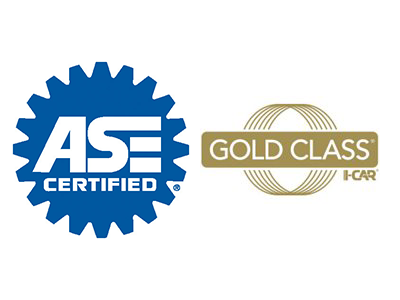 Merton Auto Body’s ASE and I-CAR certified auto care specialists provide complete rust proofing for your car or truck. Our estimate is free and can be evaluated by a trained appraiser. 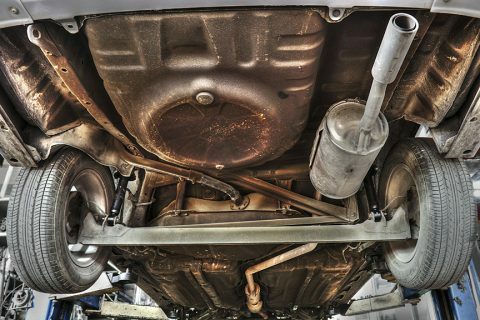 With proper rust proofing, your vehicle can stop the elements and keep looking new for years to come. Rust is iron oxide, a molecule created when iron bonds with oxygen. Typically, this is caused by iron coming in contact with water, either directly or through exposure to moisture in the air. Road salt, whether it’s the sodium chloride we use as table salt, calcium chloride or magnesium chloride, acts as a catalyst, enabling the oxygen and iron to bond faster. After driving through a few Wisconsin winters, this reaction can eat through the iron in steel body panels, suspension components, gas tanks and fuel lines. It’s not just an eyesore: it can reduce your vehicle’s structural integrity. If you can keep oxygen away from iron, rust can’t form. Rust proofing keeps the metal in your vehicle’s components from coming in contact with the water and salt on the road by applying a treatment that creates a physical barrier. Of course, this only works if the barrier is properly applied: once rust starts, it can spread underneath the coating. As bodywork professionals, we know how to get complete coverage to prevent rust from getting a foothold on your vehicle, applying a barrier inside and outside the undercarriage and body panels to minimize contact. Whether it’s old or new, your car can benefit from a rust proofing treatment. Already have rust showing up on your vehicle? We can repair body panels and treat them to halt degradation. Regardless of the condition your vehicle is in, we can have an estimate ready in about 15 minutes.